Bonanza Express can carry up to 800 passengers and 271 vehicles. 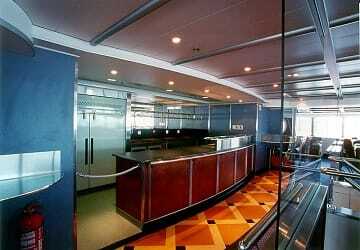 Bonanza Express was the first high speed ferry to operate the entire archipelagos. 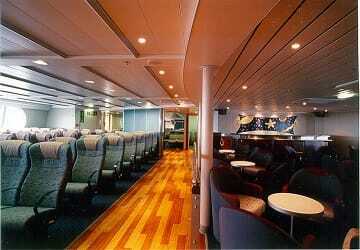 On board there is, a comfortable seating area, well-lit lounge and a bar area. Please Note: Whilst we have taken great care in making our Bonanza Express guide as accurate as possible, onboard facilities, services and entertainment may vary depending on the date and time of year that you travel, facilities mentioned may change without notification and ferry companies reserve the right to operate vessels other than those mentioned at time of booking without prior notification. 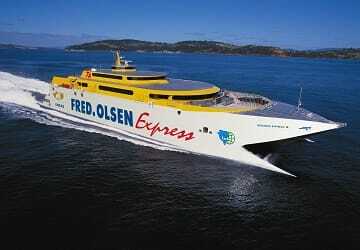 "Fred Olsen Car Ferry Gran Canaria to Fuertaventura"
Straightforward journey, no issues. The only potential problem is finding the actual loading dock, signs are small and infrequent and the Fred Olsen entrance could have better signage. It was the first time that I use your service and I have to say that you are really professional, reasonable price and the accomodation comfortable. You have to be at the port from 0.5 to 1h before departure. The booking with Direct Ferries you have to pick upi your tickets at the port. The ticket office is not always at the port. 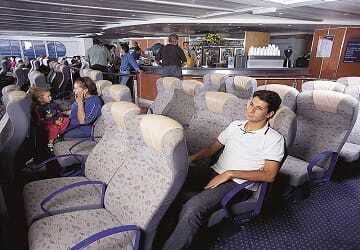 The sea was a bit rough so soem of the passengers got sick. The treatment from the staff was wonderful. On time, "Everything good with Fred Olsen. Super. The equipment (seats) of the ship, however, were slightly attacked. " Punctual, clean, comfortable armchairs, very good hygienic services: I recommend it. 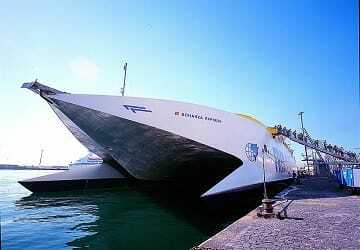 We have used this company for the crossing Fuerteventura-Lanzarote. We had a very good experience, from the booking till the end. Very comfortable journey. Fast, punctual and comfortable journey. We had a comfortable and quiet journey. God service and the staff was nice and correct. You barely notice the length of the journey. It seems 20 minutes. There is a lot of space and is very comfortable.